Boys or girls…what kid doesn’t love fire trucks?! They are big, red, loud and shoot water…what could be cooler than that? Therefore, when the folks at Thematica approached us to see if we wanted to be a part of their big Fall Friday Giveaway, we of course jumped at the chance to give our readers some free apps. They asked which of their apps we wanted to giveaway and the little kid in me just had to choose the fire trucks! Thematica was kind enough to provide us a number of copies of their latest app, Fire Trucks: 911 Rescue to give away today. This iPad-only game takes your child from the sandbox to the backyard where they get to be heroes using five different types of fire trucks to put out fires and rescue animals. It’s a cute app that I’m sure your little ones will enjoy, as they learn to use their problem-solving skills and learn a little bit about different types of fire trucks and hear the realistic fire truck sounds. The giveaway will only run for 24 hours, so make sure you get those entries in. 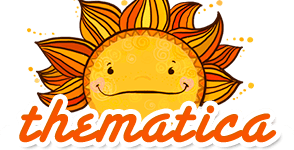 There are supposed to be a number of other sites also giving away different Thematica apps today, so make sure to visit Thematica on Facebook and twitter to see where else you might be able to score a free app.